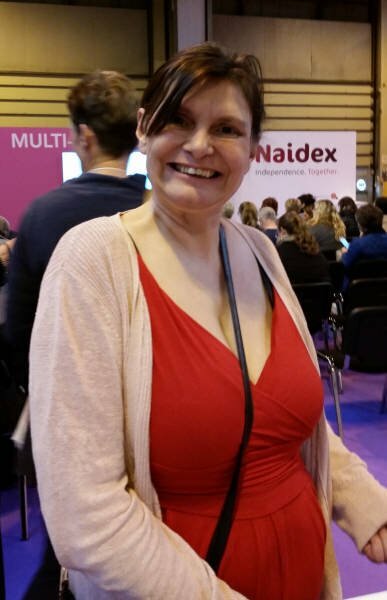 Anyone familiar with Dr Sara Payne’s passionate, forthright and successful campaigning work, would not be surprised to learn that her talk at Naidex 2016 drew a significant crowd. Speaking with searing honesty, warmth and humour, Sara delivered a key note speech revealing her “Stroke Journey”, which began 6 years ago when she was working as the first ever Victims Champion. Typically, Sara Payne doesn’t limit herself there though – working with the designers at Shapemaster® to design a specially adapted bike, her goal is to complete a London to Paris cycle ride. Hearing Sara talk, you just know that she will do everything she can to make that happen. For more information, visit www.shapemasterglobal.co.uk or visit www.thephoenixpost.com for details of Dr Sara Payne’s current advocacy work.